Picks, Sledge Hammers & Muscle! 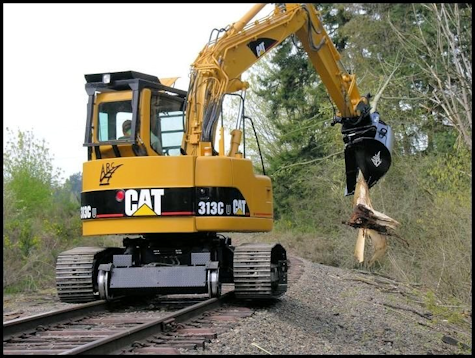 Roto Gripp™ bucket provide the speed and versatility for all your projects on and off the rail"
The Rail X - a highly versatile machine for Rail Road construction. 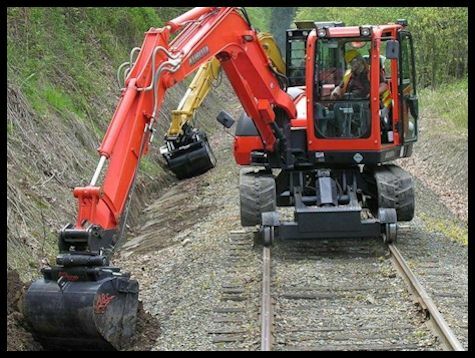 That has a Purpose Built Undercarriage, adapted for excavators used in rail operations and maintenance on or off the track. The Roto Gripp™ - The one attachment that has a full 360 degree rotating jaw bucket, alone in its class for efficiency, durability and agility. 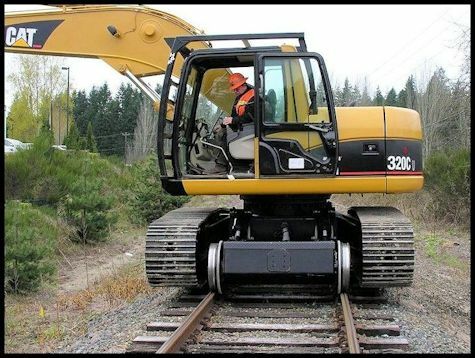 "Let us create you a highly mobile excavator today... with our machine options & design technology." That this is truly... "One piece of equipment that you should have on your job site."